are THE environmental way to heat your home or business and at the same time reduce running costs. make use of the natural heat source in the environment and at the same time help save that environment. today's buildings call for conditoned air - as do it's occupants. Network Refrigeration keeps you cool - when the going gets hot. acu large or small we work on them all - when the going gets hot - we keep you cool. provides both scheduled maintenance / service cover as well as emergancy call out 24 /7 - turning your cooling, refrigeration or heat pump problems into solutions. our commercial refrigeration experts have a wealth of experience in the refrigeration problems and challenges facing your business or organisation, so why not make use of it? are at your disposal, 24 hours, 7 days a week thoughout the year to help turn your cooling, refrigeration or heat pump problems into solutions, all you have to do is call. We are one of the leading commercial heat pump installers in Scotland. Network Refrigeration & Air Conditioning can offer heat pump installation and repair to the highest possible standard. 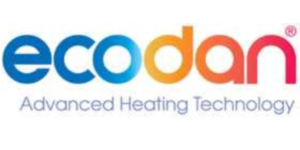 We are accredited installers of the Mitsubishi Ecodan system, so you can be confident that your system will work perfectly. Specialising in air source heat pumps means that we can install them in any kind of building, allowing you to take advantage of the savings that such items provide regardless of the type of business you own.